If you're interested in working in a field that involves studying the planets, the solar system, and other aspects of the universe, consider investigating the many opportunities for careers in space science. While astronauts are the first professionals that come to mind when most people think about careers in space science, there are numerous other employment opportunities in this field. Astronauts make up only a very small number of all space science workers. Every country that operates a space exploration program has a limited number of career opportunities for astronauts. Individuals who want to pursue careers as astronauts must undergo rigorous training and meet stringent physical fitness criteria. Competition for these positions is fierce, and only the most outstanding candidates are likely to be accepted into their country's astronaut training program. Astronauts must be degreed, and their formal education should be in a field related to science or mathematics. Graduate degrees are preferred, and many astronauts have earned Master's or Doctoral degrees. Additionally, individuals interested in becoming astronauts must be experienced pilots and must possess nearly perfect visual acuity. There are also height and weight requirements for acceptance into an astronaut training program. Specifics about NASA's astronaut selection and training program are available on the NASA website. Details about becoming an astronaut in Canada can be found on the Canadian Astronaut Office's website. Many scientists choose to pursue research and development careers in space science. For example, many pharmacology researchers are investigating ways to develop new medications from substances discovered during space exploration trips. In addition to the engineers who design space science technology and the scientists who specialize in making sense of what is discovered in outer space, technologists and technicians play an important role in the field of space science. These individuals work closely with the engineers and scientists to build, test, and perfect various types of space technology and innovations. NASA Jobs: Visit the NASA Jobs website to search open positions within the U.S. National Aeronautic and Space Administration (NASA) and to find out how to apply for federal jobs with the agency. Space Careers Job Board: The SpaceCareers.com job board has a wealth of information beneficial to individuals seeking space science career opportunities. All postings on this board are for positions working directly in space science, or performing services for companies that specialize in providing goods and services for the aerospace industry. Qualified professionals can register and post their resumes to this site and search through the listings of open positions. Employers may search resumes and post their job announcements. Space Individuals: This job board provides listings of available jobs with space companies throughout the world. To review job openings, you will need to select the country you are interested in working in, and from there you can scroll through available positions. You can also register with the site to receive free emails twice per month that contain information about new job listings, employers in the space industry, articles of interest to those who are pursuing career opportunities in the industry. Employers who hire space science workers are looking for highly skilled applicants with very specialized training and skills. 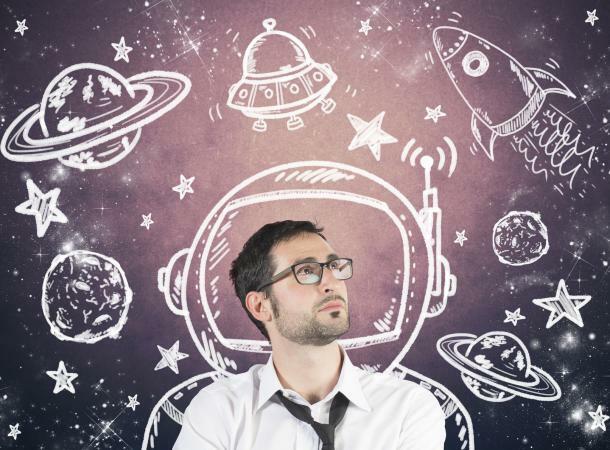 If it sounds like the space science field is the right one for you, it's important to investigate the different types of jobs that appeal to you. Use what you learn through your research to make sound decisions about getting the training you need to work in this industry. Once you have necessary qualifications, you'll be able to start applying and interviewing for positions in this rewarding field.